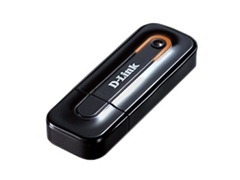 Download D-Link DWA-133 Wireless Windows Driver, Software. The D-Link Wireless N USB Adapter to provide a better, faster wireless signal for your network than previous-generation Wireless G. So you can connect faster with better connectivity and coverage to any network, at your home, office or other mobile hotspots. The driver also support D-Link DWA-135 Wireless N USB Adapter and D-Link DWA-121 Wireless N 150 Compact USB Adapter. download for this device for Mac os.